Information is power. And wherever there’s power, there are people looking to steal it. But that’s also where you’ll find us. We’re RSA Conference. And we’re here to stand against cyberthreats around the world. That means being here for you. Connecting you with the people and insights that will empower you to stay ahead of cyberthreats. We do this through our online outreach and with our events around the globe. Some say it’s impossible to stay ahead of cybersecurity threats. We disagree. We’ll always be here as your go-to resource for exchanging ideas, learning the latest trends and finding the solutions for a more secure tomorrow. Our conferences draw over 50,000 attendees per year, more than any other conference out there. Why? Because we’re the only event that offers such a broad range of reasons. Valuable content presented by some of the industry’s most forward-thinking leaders. The chance to network with thousands of peers. And the inspiration you need to protect your organization now and in the future. Once you attend, it’s hard not to get swept up in the opportunities to find new industry voices and new ways of approaching security. So, want to be better prepared for tomorrow’s challenges? 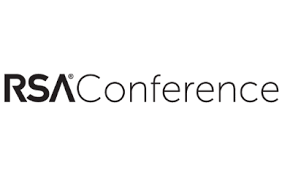 Connect with RSA Conference today. You’ll feel smarter for doing it.